and in everything she says. to get you with me? Today I added a new widget to my blog, but I could use some help with it. If you would like to be featured on my POETRONICS channel, simply record one of MY poems as a response to my latest video in the series and post the address in the comments section. I will add your reading to the channel when I see it. 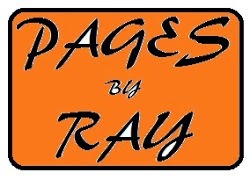 You may read your favorite from any of my poetry blogs Start with the title and the by line (by Ray Nichols). You can call yourself my intern and add it to your resume. And don't forget my by-line. When you record my poem on your channel, send me the address via the comments and dont forget the byline. Good times we once had. #poetry. the way she looks at me. the way she walks. the way she talks. she is poetry. a thing of beauty and poetry is she. Did I end up where I'm meant 2 be? Am I really the nothing that I turned out to be?